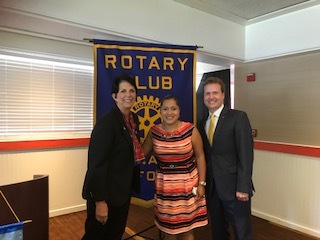 We are pleased to announce that VERONICA URZUA and KARIN LUCERO-MARTINEZ have been proposed for membership into the Rotary Club of Oxnard. Veronica and Karin will join Cynthia Torres from New Dawn Counseling Center, which will be our newest corporate member. Veronica and Karin will both have the designation of "Counseling Services." We intend to induct Veronica and Karin at our earliest opportunity. Please contact President Tagg with any questions or concerns about these prospective members. The Rotary Club of Oxnard was honored to have our new District Governor, Sandi Schwartz, visit our Club this week. Sandi has been a member of the Rotary Club of Bakersfield East (BERC) since 1994. She served her club as Director of The Rotary Foundation, Sergeant at Arms, editor/publisher of "The RotoNews", Club Service Director, Blood Bank Chair, RYLA Coordinator, and twice co-chaired her club's annual fundraiser Vino Amore. Bakersfield East named her Rotarian of the Year in 2009. When she was Club president in 2013-14, her club grew by a net seven members, earned the RI Presidential Citation, District Gold Club Status Award and "Best Medium Size Club for Vocational Service". Sandi is a recipient of the RI Avenue of Service Citation in 2013 and the District 5240 Jock McKenzie Leadership Award in 2014. During her visit to the Club, Sandi shared information and goals for the upcoming year, and encouraged participation to all Rotarians. 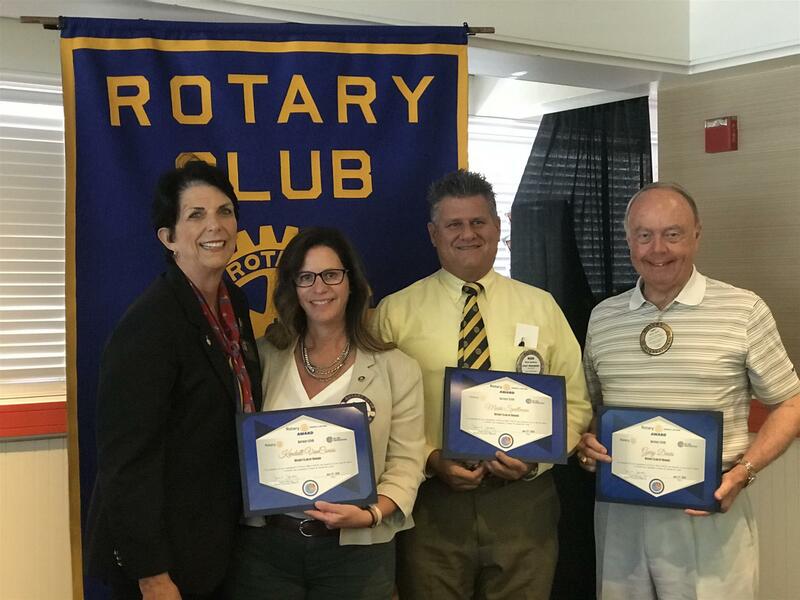 Sandi joined us in presenting our newest member, Mayra Rincon, with her name badge and Rotary pin, and also presented three Oxnard Rotarians -- Kendall VanConas, Mark Spellman and Gary Davis -- with a "Rotarian In Action" Citation. Thank you to Sandi, we look forward to a great year!